We’re excited to bring all that you love about Firefox, the web browser, to Windows 10. 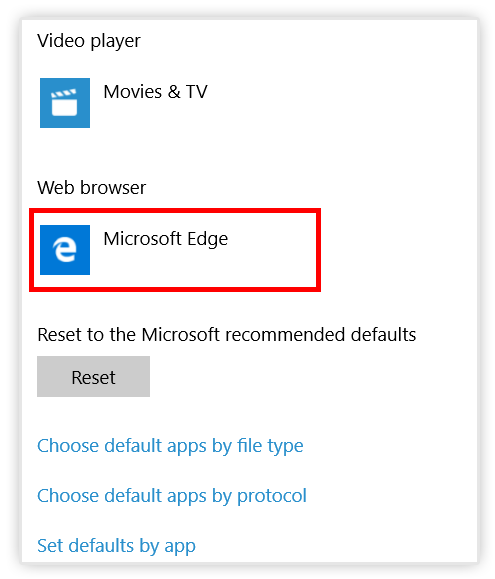 When you upgrade to Windows 10 or get a device that already has it installed, you may be surprised to find that your default browser is set to Microsoft Edge by Windows. Microsoft has changed how to set default applications in Windows 10 and to help with the process, we have illustrated below all the steps you need to set or change your default back to your intended choice. When you open Firefox for the first time, you will be asked if you’d like to make it your default browser. To do so, click the “Use Firefox as my default browser” button. The Windows Settings app will open with the Choose default apps screen. Scroll down and click the entry under Web browser. 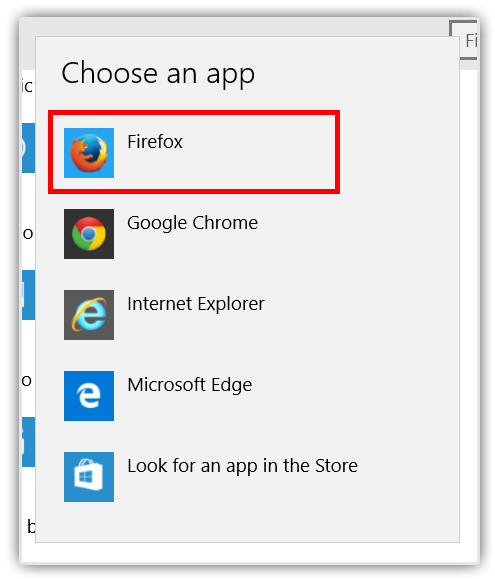 The Web browser icon will say either “Microsoft Edge” or “Choose your default browser”. It may not be intuitive, but you need to click on the Microsoft Edge logo to open the window that will let you choose another Web browser as your default. This will open the Choose an app screen. Click Firefox in the list to set it as the default browser. Here’s a video walkthrough of this process. If you need more help, please go to our support page. We wanted to make sure that Firefox showed up on Windows 10 as a first-class experience, so we’ve made a lot of subtle tweaks to the look and feel that both sit well in the Windows 10 context and are definitively Firefox. We’re taking visual cues from style changes appearing in Windows 10 and we’re also reducing the overall browser UI footprint to increase space for viewing the Web. Download Firefox Beta now to help test out these updates or watch out for them coming soon in the general release of Firefox!